850 pounds Blue Marlin! | Fish On! 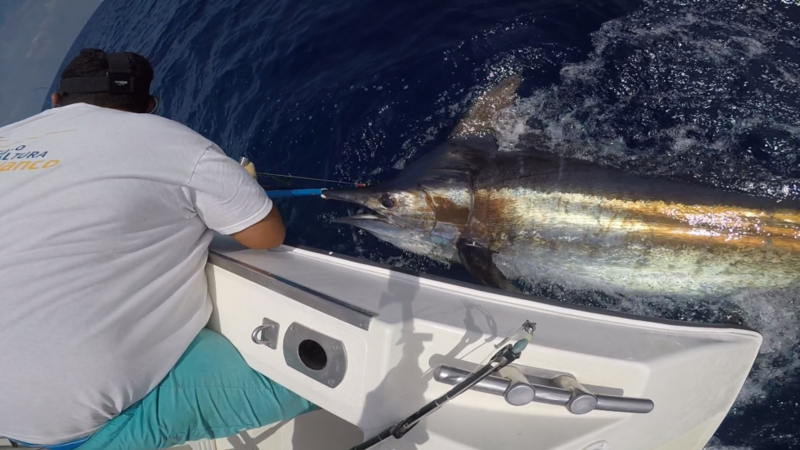 Today we released the largest Blue Marlin we have seen in the past 5 years, a beautiful fish of about 850 pounds that took us 1 hour to bring alongside the boat.